A few weeks ago, I learned about a skincare line at Walgreens called Simple. I knew from the name that it was going to interest me. When it comes to products for my face, I always prefer natural, fragrance free and gentle products. This skincare line appeals to all skin types, including sensitive skin; it contains absolutely no fragrance, dyes or other artificial ingredients. Rather, it is made with simple, pure ingredients with added vitamins to nourish and pamper the skin, allowing it to look and feel its best. The line of products includes cleansers, moisturizers, eye care and wipes. Although this product line is new to the US, I learned from their website that this line was originally created in the UK in 1960 and is currently a best seller in the UK. Taking care of my skin is a priority. Therefore, when She Speaks sent me a full size Simple Smoothing Facial Scrub to review, I was grateful for the opportunity to try out this new-to-me, hyopallergenic skincare product. This creamy, textured yet gentle scrub is easy to use. After dampening the face and neck, simply smooth the product over the facial and neck skin in circular motions and rinse thoroughly with warm water to remove. The scrub has done a wonderful job of cleaning and exfoliating my face, allowing my skin to look brighter and refreshed. With no harsh fragrances or irritants, it has been gentle enough to use regularly with no signs of irritation or blemishes. I am most definitely enjoying the product and plan to continue to use this and other products from the line. With skincare line products ranging from $4-$10, the products are certainly affordable enough to make a part of my daily routine. 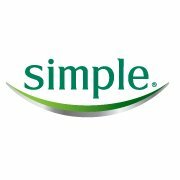 For more infomation about Simple, check out their website HERE and be sure to follow on Facebook HERE and Twitter @SimpleSkincare. Disclosure: I received a Simple Smoothing Facial Scrub product from Simple and She Speaks for review. I was in no other way compensated for this post. All opinions are my own. I have been using their eye roll on & replenishing moisturizer and love it! I have noticed a difference in my dark circles under my eyes. I have to see if they have a moisturizer with SPF to try next. be told many new stuff right here! Good luck for the next! Usually I don’t learn article on blogs, however I wish to say that this write-up very forced me to take a look at and do it! Your writing style has been amazed me. Thanks, quite nice post. forward on your next submit, I will try to get the hold of it! And he actually bought me dinner due to the fact that I found it for him.